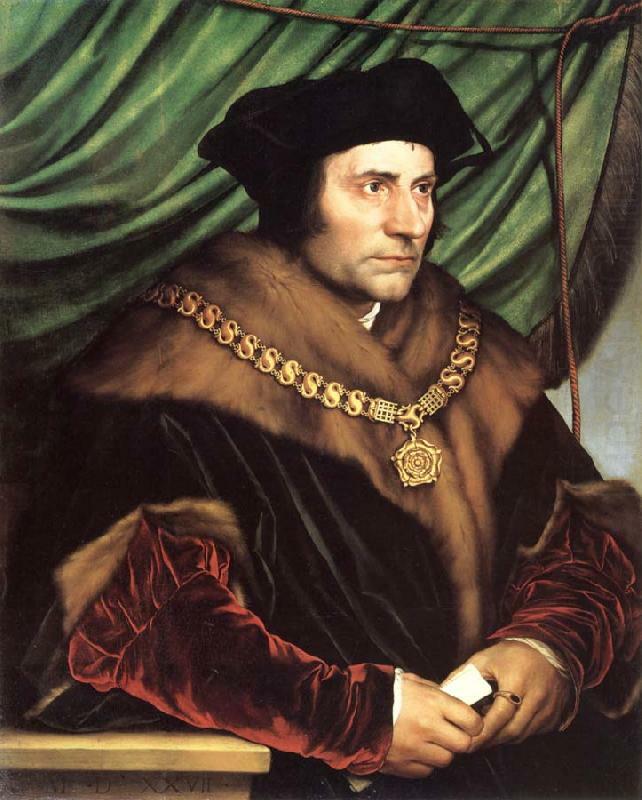 Today, I'm happy to share with you the wonderful St. Thomas More. I first got to know St. Thomas More when I was 10 or 11 years old, and I watched the movie, A Man for All Seasons with my dad. That movie is most assuredly a classic, and even at a young age, I could recognize that. But what struck me even more than the movie itself was the saint it told the story of. Beheaded on Tower Hill, London, on July 6, 1535, he steadfastly refused to approve Henry VIII’s divorce and remarriage and establishment of the Church of England. Described as “a man for all seasons,” More was a literary scholar, eminent lawyer, gentleman, father of four children and chancellor of England. An intensely spiritual man, he would not support the king’s divorce from Catherine of Aragon in order to marry Anne Boleyn. Nor would he acknowledge Henry as supreme head of the Church in England, breaking with Rome and denying the pope as head. More was committed to the Tower of London to await trial for treason: not swearing to the Act of Succession and the Oath of Supremacy. Upon conviction, More declared he had all the councils of Christendom and not just the council of one realm to support him in the decision of his conscience. More challenges me - especially in our current day and age - with his willingness to stand for the truth, even when the government opposes the truth of the Church. I hope and pray we may all have the same courage. But another thing that has always made me love More was the fact that he was a family man, a husband and father (and a grandfather!). In particular, I love hearing about his immense love for his daughter, Margaret. 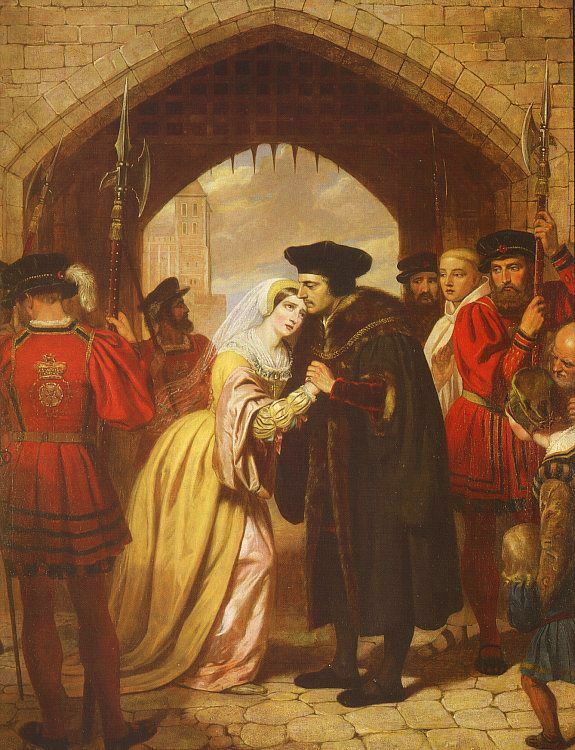 Thomas More's daughter sends good-bye to him before he is executed. "I never liked your manner towards me better, than when you kissed me last, for I like when daughterly love and dear charity have no leisure to look to worldly courtesy. Farewell, my dear child, and pray for me, and I shall for you, and for all your friends, that we may merrily meet in heaven..."
Thomas More was such an ordinary man, and yet he took an extraordinary stand for the truth. He was a lay man, very much in the world, and I think this makes his martyrdom even more poignant. Can you imagine being martyred, knowing that it would take you from your children? A truly brave man, indeed. If you haven't seen A Man for All Seasons, yet, I highly, highly suggest it! I truly believe that St. Thomas More is the patron saint we need right now, especially in our country. He knows what it is to try and raise a family in a tumultuous world, where truth is suddenly thought to be subjective, and when standing for what's right means standing against what the culture says.